As deadline approaches, newsrooms routinely get tense. Fact cross-checking, getting the best of statements of people who matter, last time additions; it is the time for pushing the stuff to the desk. In 1999, my table in Kashmir Times was still looking like a ‘virtual mortuary’ as day’s “kill count” was still the top news. “You are doing nothing, only smoking,” my friend, Prof Afzal Qadri, poked me on phone from Kargil on May 8 evening. He was there for conducting an examination. “It is jung (war) here as many people have crossed the line (LoC).” In the midst of the call, voice quality deteriorated and the line snapped. I neither got a call from him nor did I attempt one from Srinagar. He was calling from a police officer’s home. It proved my career’s biggest mistake. Next morning, our competitor Excelsior had the “war” as its banner. As the fighting escalated and the ‘localized’ war became the first military conflict in subcontinent’s television history, I reported the war till the rivals disengaged but the regret of losing the scoop is still there. One factor responsible for my complacency was the fact that Kargil was routinely being pounded by Pakistani gunners for the last few years. On September 12, 1998 when I accompanied the then food minister Ajay Kumar Sadhotra, following Pakistani shells decimating the Food Corporation of India (FCI) go-down in Kargil, army stopped us on the banks of roaring Drass river for the whole terrifying night when shell-thuds and high-speed winds were choreographing a haunting tune. A Pakistani shell had landed on the road turning turtle an oil tanker. They were apprehensive that a second hit could trigger a conflagration that could destroy a convoy. A similar incident had roasted two truckers earlier near Hunderman. But 1999, as the subsequent days established, was not 1998. A sizeable chunk of soldiers had infiltrated taking over the inhospitable heights soon after Indian army descended down for winter. Intrusions were later detected by Batalik shepherds and the soldiers took their own time to cross-check and react. But the Kargil war was perhaps the second conflict between India and Pakistan in which J&K Police were more informed. That advantage helped me get a better coverage of things, till Delhi media houses flew their teams to stay embedded. Indian soldiers in Batalik during the Kargil War. Initially, it seemed as if the Pakistanis were control of a hill. But the 72-days war starting May 3, as I saw it later, involved 142-kms of LoC from Zoji La to NJ 9842 (Siachin Glacier start) and envisaged a series of peaks, humps, saddles and various junction points of ridges. Rival sides have exchanged the ownership of some of these hums since 1947. Peak 13620 (the number is its height in feet) in Drass, for instance, was held by Pakistan in 1947-48. Later in 1965 India captured it and returned after the Tashkent agreement. In 1971 war, India recaptured and retained it till the ‘intruders’ in 1999 took it back. Till 1982, when Siachen became the flashpoint, BSF would normally manage some of these ridgelines round the year. 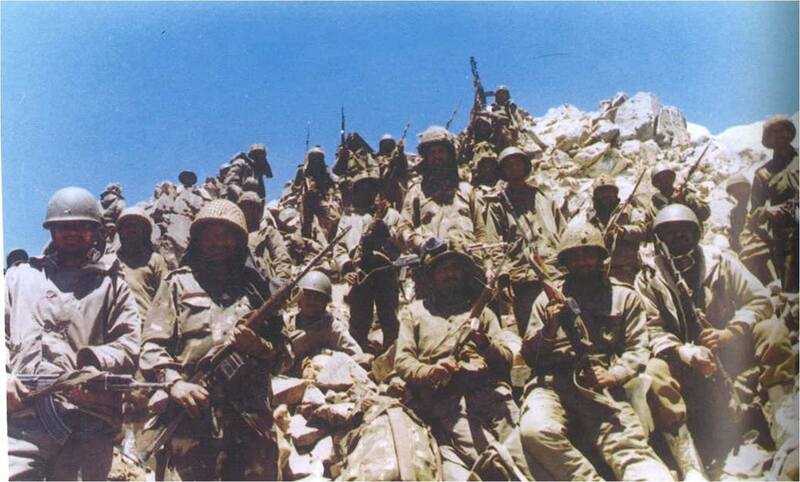 Stationed over Marpo La (5353m) and Sandu (4268m) in Drass sub-sector, the army took-over and changed the tradition. The high-altitude peaks being inhospitable and nearly glaciated during winters, the rival armies would withdraw late autumn and returned at the peak of summer, a situation that still exists on LoAC that separates J&K from China. “Preparations for this operation had started much earlier,” a retired Kashmir Police officer responsible for basic intelligence gathering in 1999 said. “We had reported Pakistani choppers flying low in the upper reaches for most of the winter and they had dumped lot of ammunition and supplies in the empty pickets of Indian army.” The officer specially flew in the area many days ahead of the conflict and his report was technically the only document India’s security grid possessed. Initially believed to be a militant operation, the report had insisted the intruders were from Pakistan’s Northern Light Infantry. These choppers, it was later established, had flown three 105 mm field guns, weighing 1200 kgs each, after dismantling them and rejoining deep into this side of LoC. Positioned not far away from Peak 4833, somewhere between Drass and Mushkoh Valley, these field guns decimated the Drass Brigade Headquarters and hit targets on patches for most of the 27 kms of the highway between Drass and Kargil. In certain areas, Pakistan had entered nearly 8 kms inside. It was one such shell that landed a few feet away from the bus I was travelled in on May 27. I saw another shell hitting a telecom tower leaving two persons injured who were picked up by a chopper like an eagle, flowing so low that I felt I could catch it. Much later in 2008 Col (retired) Ashfaq Hussain revealed in his Witness to Blunder: Kargil Story Unfolds that General Parvez Musharaf had flown in on March 28, 1999 and travelled 11 km into the Kargil. Accompanied by Brigadier Masood Aslam of 80 Brigade, the colonel revealed that Musharaf actually spent a night at Zikria Mustaqar and interacted with the troops commanded by Col Amjad Shabbir. Vindicating the Kashmir police assessment, the book revealed that the first intrusion was spearheaded by Captains Nadeem and Ali and Havaldar Lalik Jan on December 18, 1998, who were on a reconnaissance mission. The major intrusion was planned on their ground assessment. Reporters getting briefing about war at Kargil. For acknowledge the contribution in detecting the intrusion by Tashi Namgyal and two other shepherds from Batalik’s Garkon, Delhi took 13 years. Even in 1999, it took him many days to convince the soldiers that what he was saying was correct. His earlier whistle blowing in 1998 summer had proved a damp squib impacting his credibility. Then the shepherd had to drive to Kargil and meet Shalin Kabra, the then Deputy Commissioner, who eventually took him to Surinder Singh, the brigadier, who was later shamed out and dismissed for alleged complacency. 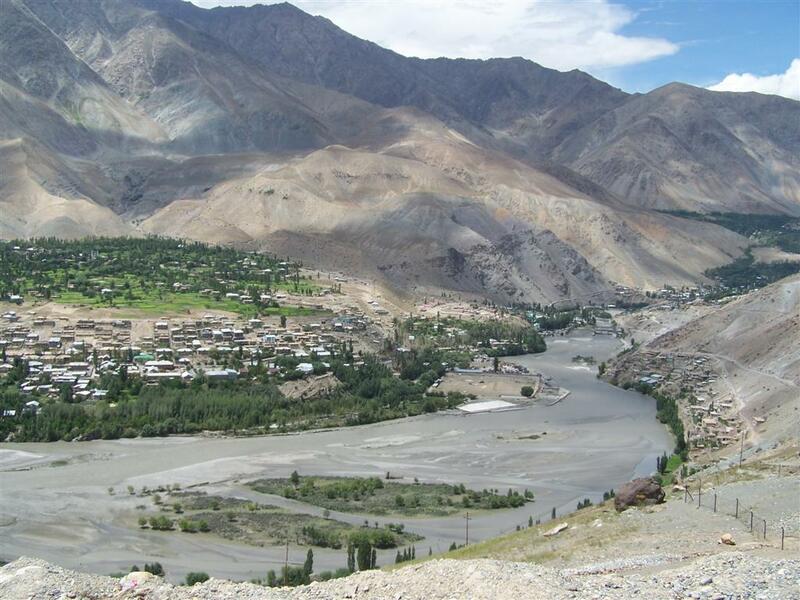 Most of the Kargil was deserted and resumed life in Trespone and Sanku. 18 civilians died in the war, mostly during initial days of shelling. Even Army shifted its Khurbathy garrison to Wakha. As residents of Batalik moved to Leh, the Ladakh Buddhist Association upped the ante insisting that people “with un-established credentials” were “intruding” in Leh. But the accuracy with which Pakistani gunners were pounding targets, it seemed as if they knew everything. Bhat had gone to rescue his shell-shocked cops who were hungry for many days in their Drass station that his vehicle barely survived an attack. His colleague Bashir A Sofi had his lunch in a classroom – his quarter always devastated, that a shell landed on the same desk. “I had gone to wash the hands and that was the saving grace,” Sofi, now an SP rank officer, said. In Drass, a TV crew had finished the interview of a few soldiers who had returned from the frontline that a shell landed the same spot, killing an officer of 17 Garhwal Rifles and his three subordinates. Offices and the residences of DC and SP were hit forcing the two to live in dungeons for many days. Within minutes after the then Prime Minister A B Vajpayee landed in Drass on June 13, shells targeted the area. Bhat remembers the premier being escorted into an underground bunker and later flown back. The army had, in fact, spread a rumour that the then Chief Minister Dr Farooq Abdullah upheld, suggesting a lady was directing Pakistani fire on this side. This forced police to act but Bhat says they could not get even a shred of evidence. Finally, wagging tongues were put at rest after Kargil elders threatened that had locals collaborated, the town would have been Pakistan already! Comprising the ridgelines of Jubber, Kokerthang and Khalubar, Batalik sub-sector has the toughest terrain with scores of plateau-less peaks, trisected by three glacier fed torrents. It connects with Drass sub-sector through Muntho Dalo, stationing the main intruder base camp. As the army planned response, the shock came from Drass where intruders targeted everything – the highway, the town, and the entire infrastructure. It shifted priorities. As fighting started, it seemed a heady task because intruders controlled peaks. Within less than 48 hours after IAF was inducted on May 27, two fighter planes were down along with a gunship chopper. Soon, fighter officers termed it a ‘black hole’ as anything going up the hills was being consumed. IAF had told that they were actually facing lot of difficulty in pounding the enemy positions because they were literally indistinguishable from the Indian position. That was perhaps why the artillery proved the best alternative in “softening” the targets. 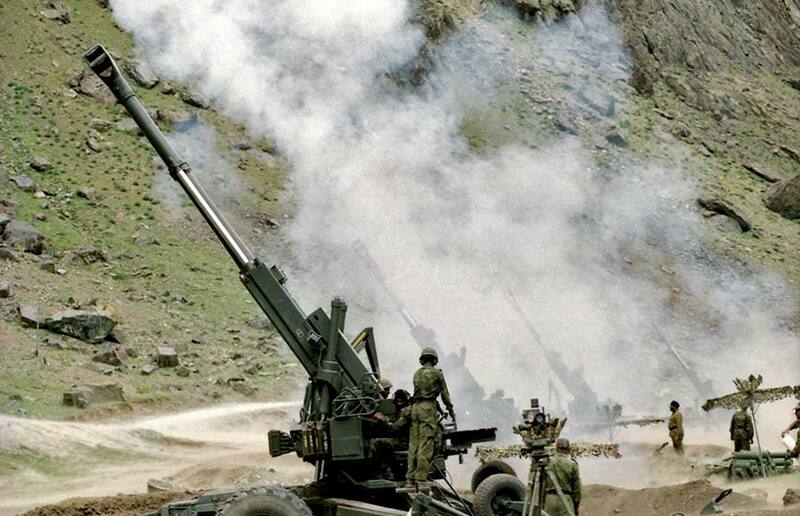 Bofors howitzer, all of a sudden, became the darling of the heights erasing the memories of its historic baggage. Within a fortnight after its induction, Swiss company had its reps in Delhi handling multi-million dollar spears order! Initial days of response were visibly gruesome. In panic, tens of thousands of soldiers demobilized from Kashmir were inducted into the war theatre. I remember watching soldiers literally in their t-shirts moving up the hills. At Ghumri where a tented hospital was started by army, injured would tell stories of sheer human courage in approaching the peaks. There were instances of fathers and sons fighting from different sectors and neither of them knowing anything about each other. Drass-Kargil belt was almost impassable. Nobody in Drass had stayed back except a few vegetable sellers, a barber and non-local tea vendor despite the area having 4412 dungeons. They were catering to the daily requirement of nearly 3600 porters, mostly Nepalis of which five died in the war. One had to live under open skies or in the shade of a boulder. Even the space in rundown Siachen Hotel at Kargil was shrunken. News was nowhere around, especially for the local reporter. I spent a few days and finally returned to Srinagar. City was calm. Primarily, the separatist camp was totally uncomfortable with the Pakistan army intervention that was aimed at undoing Vajpayee’s Lahore initiative. The other reason was a rumour that if tensions escalated into a full-fledged war, the army would opt for culling the separatist element. Initially, the militants made a series of attacks between Banihal and Kangan, hitting the convoys being inducted into the war. Security grid reacted by shifting the Director General Rashtriya Rifles (RR) to Srinagar and making him the sole security adviser to Chief Minister thus sparing both the corps commanders from the CI duties. Those days witnessed a strange situation. 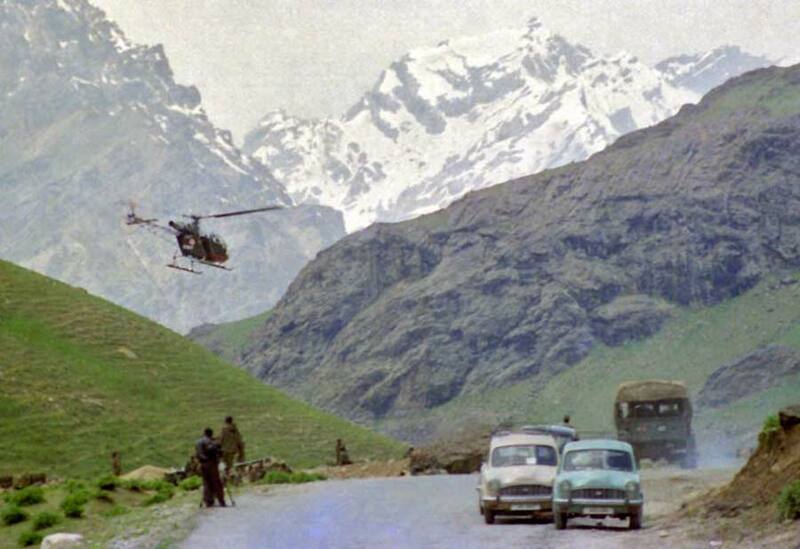 Given the massive appetite that hills in Kargil exhibited for fighters, entire garrisons were emptied by soldiers. In one case, that I reported for Kashmir Times, in one north Kashmir village the commander of the camp summoned the Muqdam (village head) and handed him over the keys and left. They kept the custody till the soldiers returned later in September. Kargil war saw killing of 527 soldiers and 71 of them belonged to J&K, mostly from Ladakh Scouts (Pakistan is reported to have suffered more). Unlike rest of India, however, the families whose members were killed were talking in hushed tones as media witnessed in Dachinpora and Rafiabad. Lance Nailk Ghulam Mohammad Khan of 12-JAKLI in Katsoo Nadibal was the first Kashmir soldier who was laid to rest by a modest village crowd. Many of the war widows fought protracted battles with their in-laws over compensation. Interestingly, however, the tourism in Kashmir remained unaffected even though the army took over the Srinagar airport on May 25, and shifted civilian traffic to IAF base in Koil (Pulwama). Once the fighting stopped, a new corps was set up for Ladakh. Now tens of thousands of soldiers guard the heights in near-Siachen conditions. Against minus 45 degrees celsius on Siachen, Drass as second coldest habitat outside Siberia witnesses going down to -50. Wind speeds are between 100-150 Knots, Oxygen content in atmosphere depletes on the same scale (against 21 percent in plains it is to the maximum of 15 over the peaks) and the Wind Chill Factor (WCF) remains between 1400 and 2000. Soldiers serving these heights normally see loss in weight as well as memory. While the chilling winds afflict with chill blain, frost bite or the gangrene, the least oxygen quality either encourages the water-logging in brain (cerebral oedema) or lungs (pulmonary oedema). On August 16, the then I&B Minister Pramodh Mahajan’s son Rahul hosted a huge musical extravaganza to celebrate the victory. Armed forced boycotted the event but 4000 people were in the audience on Dal banks watching entire Bollywood perform. In the orchestra din, I was thinking if the celebrations would have been same had the diplomacy not taken over the guns.